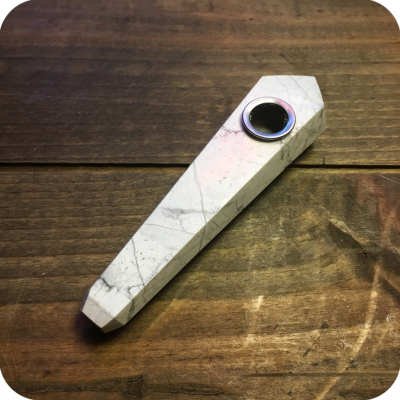 The Howlite Crystal Pipe is a beautifully powerful pipe that has many healing properties–spirituality, mentally, and psychically. To smoke, simply pack the bowl with your favorite legal herbs, light it up and inhale through the mouthpiece. 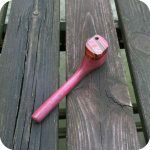 While there is no carb on these pipes, they do come with a removable metal screen. Crystal lovers all over the world agree that Howlite promotes calm and relaxed energies. Howlite is a relatively recent addition to the healing crystal family. Henry How discovered Howlite in Nova Scotia in 1868. Additionally, howlite is considered an “attunement” stone, which links the individual to a higher consciousness. Many people also believe it invites creativity and self expression into your life by decreasing a critical state of mind, and general anxiety. 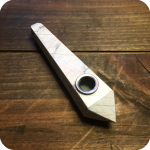 You will feel much more open minded and creatively competent with the Howlite crystal pipe. 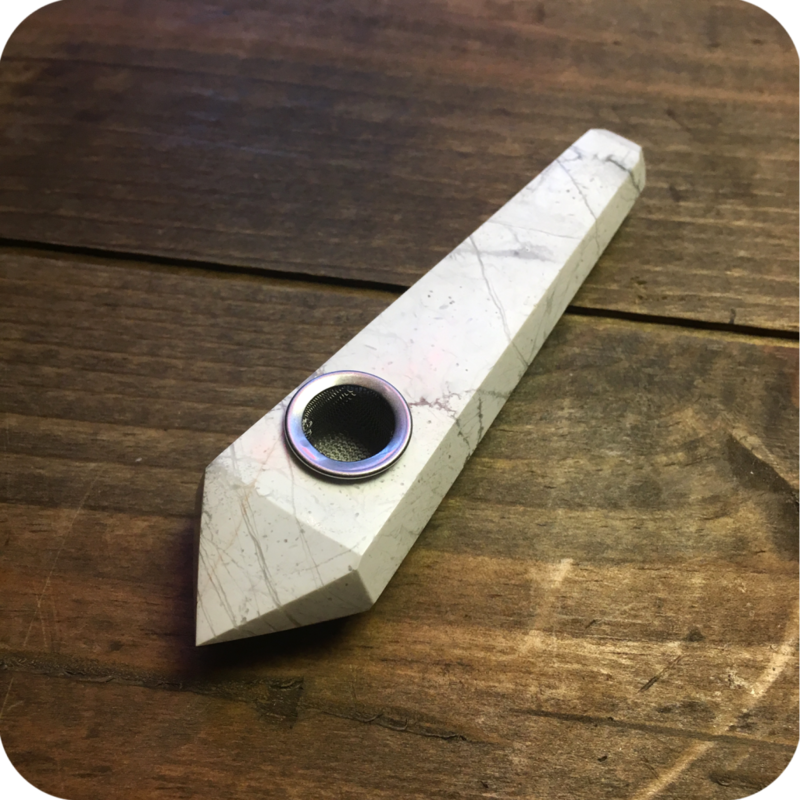 Physically, this stone can help with insomnia. While relaxing the mind and the muscles, this stone will help put the user in a deep sleep. This results in more energy the next morning, and consequently a better day. 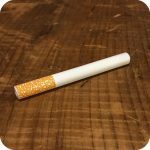 Be sure to check out the many other styles of crystal pipes we carry at Sunflower online, or in person at either one of three store locations in Brooklyn, New York! We are located at 12 Wilson Ave in Bushwick, 518 Grand Street in Williamsburg, and 377 Metropolitan also in Williamsburg. Tags: crystal pipe, Howlite, Howlite Crystal Pipe.